Robert Reback—Chairman, President, and Chief Executive Officer—has served as a director of the company since July 2002. Reback joined Cimetrix as Vice President of Sales in January 1996, was promoted to Executive Vice President of Sales in January 1997, and became President on June 25, 2001. Reback earned a B.S. in Mechanical Engineering and an M.S. in Industrial Engineering from Purdue University. Thank you for the trust and confidence you continue to place in Cimetrix. 2018 was an exciting year as we made great progress executing our strategy for long-term profitable growth. Cimetrix posted another year of strong growth as total 2018 revenues increased over 20% year-over-year. Since going private in 2015, Cimetrix has grown at a 20% CAGR (compound annual growth rate). In addition, Cimetrix posted its 9th consecutive year of profitability, which allowed us to further strengthen our cash position and balance sheet. Having no debt and a strong balance sheet gives us the ability to execute our longer-term growth initiatives and withstand short-term market disruptions. Cimetrix products are deployed in every semiconductor 300mm manufacturing facility in the world, as well as many leading electronics manufacturing factories. Both equipment makers and factory users have come to rely on the quality and reliability of Cimetrix software to run flawlessly in continuous 24/7 production environments. During 2018, Cimetrix made continual improvements to all of its products that support the SEMI Standards (GEM, GEM300 and EDA) for equipment connectivity. The Cimetrix connectivity product family supporting these standards includes CIMConnect, CIM300, CIMPortal Plus, HostConnect, HostDeveloper and EDAConnect. With Cimetrix connectivity products operating in hundreds of thousands of installations in factories worldwide, our goal is to keep these products free of all defects. This allows us to respond quickly to new issues or opportunities during the year, which in turn allows our customers to confidently build quality applications. In addition, Cimetrix added support for new factory requirements and implemented several new features that make it easier for our customers to diagnose problems and debug new applications. Finally, we made changes to improve performance and reduce memory usage, which allows our customers to better handle ever-increasing amounts of data. Cimetrix also developed a major new version of its award-winning CIMConnect product, which is used by equipment makers to meet their factory automation connectivity requirements. Over 100 equipment suppliers worldwide rely on CIMConnect for GEM connectivity. The new version of CIMConnect has been updated to better serve customers using the latest Microsoft .NET environments, supports multiple GEM connections as well as the use of other connectivity protocols. Cimetrix also made significant investments in its CIMControlFramework product, which is a software platform for equipment makers who want a full software control solution with built-in factory connectivity. Cimetrix refreshed and enhanced many of the user interface screens to improve both look-and-feel and overall usability. In addition, we enhanced the device interface components to simplify the process of interfacing to third-party hardware and I/O, and increased our library of ready-to-use interfaces to support more hardware. During 2018, CIMControlFramework was our best-selling product for new customers. We improved our capabilities to better serve our customers by transitioning our Client Training and Support team into a new Solutions Engineering group. This reflects a change in emphasis from the traditional “product training and support” function to a more proactive solutions engineering approach that features a collaborative process for architecting solutions that best solve our customers’ problems. Additionally, the Solutions Engineering group continues to expand in response to growing global customer demand. We were very pleased to add highly experienced local engineers and partners in China, Japan, South Korea, Taiwan and Southeast Asia during 2018 who are working hard every day to ensure our many new customers are successful. Cimetrix further established itself as the worldwide market leader for standards-based equipment control and connectivity software for the semiconductor and electronics industries. The best evidence of our market leadership position is the number of customers that chose Cimetrix as their platform of choice for their equipment or factory. In 2018, Cimetrix achieved 49 “design wins” from customers worldwide, including 37 design wins from new customers. This represents a 60% increase in design wins from the prior year and set another new record for the Company. Particularly gratifying, the design wins include several customers that converted from products previously purchased from competitors, which means they walked away from prior investments to switch to Cimetrix. While the primary source of Cimetrix revenue comes from equipment makers, Cimetrix receives a growing percentage of its revenue from factories. In addition, since Cimetrix software is instrumental in helping factories connect to smart equipment, Cimetrix is very active working with leading semiconductor and electronics manufacturers and their associated industry standards organizations on Smart Manufacturing initiatives. During 2018, Cimetrix team members chaired committees, gave presentations and engaged in events with industry thought leaders on Smart Manufacturing initiatives in Austin, Chicago, San Francisco, San Jose, China, Germany, Japan, Korea, Singapore and Taiwan. As Cimetrix has grown over the past several years, we significantly increased our investments in R&D, which we are using to create innovative and exciting new cloud, mobile and AI-enabled platforms to fuel our strategy for long-term profitable growth by assisting our customers in their digital transformation. Our new platforms will enable our customers and partners to take advantage of the phenomenal rise in data volumes, computational power, and connectivity as well as the emergence of analytics and business-intelligence capabilities. 2018 was a record year for Cimetrix in both revenues and winning new customers. We now have the exciting challenge of providing our exceptional customer service to the many new customers who have entrusted Cimetrix with their business and to ensure they are successful. Fortunately, we have also expanded our Cimetrix team with some highly experienced, passionate and dedicated new employees. We remain very bullish on the longer-term outlook for Smart Manufacturing and Cimetrix. However, with all of the uncertainty in the world, we undoubtedly face risks of potential headwinds in the market that could impact short-term results. We will continue to work hard to respond to any challenges that may arise while we execute our strategy for long-term profitable growth. From all of us at Cimetrix, we thank our customers, partners and shareholders for the faith and confidence they have placed in our products and our team. We will continue to strive for excellence in satisfying our worldwide base of customers and delighting them with innovative new products. Wow – what a great year for Cimetrix and exciting time for our industry! The president and CEO of Applied Materials recently said, “This is the most exciting time in the history of the electronics industry.” The race is on for faster/better/cheaper devices, cloud computing, autonomous vehicles, Big Data, artificial intelligence, the “Internet of Things” and more. This means the world needs not only a lot more computer chips, but also innovations in chip design, packaging and electronics assembly. The fast moving (and giant) electronics companies driving these trends are also pushing to get far more data from the factory floor to support their “Smart Manufacturing” and “Industry 4.0” initiatives. 2017 was a record setting year for Cimetrix. Revenues increased 34% year-over-year. The Company continued to operate profitably on a quarterly basis with operating income over 10% for the year. We invested heavily in R&D to pursue new technologies and products for long-term growth while strengthening our balance sheet with solid increases in cash and stockholders’ equity. Cimetrix is uniquely positioned as the world leader in developing and using standards that connect manufacturing equipment to factory software systems. We are second to none in knowledge of “equipment connectivity” standards. We chair the relevant global standards committees, and are well known throughout the industry as experts in this vital domain. In addition, our products are used worldwide in hundreds of thousands of equipment connections. We recently expanded the Cimetrix team with some great new employees located around the world to better serve our growing international customer base, which now includes over 30 factories in Taiwan and China. Based on what we see, the industries we serve will continue to expand their usage of equipment connectivity standards such as the Generic Equipment Model (GEM) to integrate more equipment into their factory systems, while the more advanced semiconductor manufacturers will accelerate their adoption of the latest Equipment Data Acquisition (EDA) connectivity standards. While we are very bullish on the longer-term trends for our industry and Cimetrix, it is always a little difficult to forecast short-term results. For 2018, industry analysts are currently predicting a single-digit percentage increase in semiconductor capital equipment spending. While you might think we would be satisfied with another year like we had in 2017, we expect to perform better than the overall industry in 2018 for a number of reasons. First, the “design wins” we worked so hard to earn in prior years should lead to market share gains that result in higher percentages of equipment using Cimetrix software products. Second, we believe the adoption rate will accelerate for the newer EDA equipment connectivity standards, where Cimetrix products are the most proven and widely used in the industry. Lastly, we believe our reputation for providing the highest levels of technical support to customers worldwide, especially in the Japanese, Korean, Taiwanese and Chinese markets, will enable us to continue winning new customers. From all of us at Cimetrix, we thank our customers and shareholders for the faith and confidence they have placed in our products and our team. We will continue to strive for excellence in satisfying our worldwide base of customers and delighting them with innovative new products. With the new year, comes a major new initiative for Cimetrix to grow the markets for its products. The company used the transition to 300mm manufacturing to establish a leadership position for its current product portfolio in the semiconductor industry. However, the company is starting to have success expanding into adjacent vertical markets that includes disk drive, display, LED, and photovoltaic. The objective of this new initiative is for Cimetrix to leverage its experience, technology, and product portfolio gained in the advanced semiconductor manufacturing industry to expand the markets for Cimetrix products. We will be exploring new opportunities in our current adjacent markets as well as possible new markets such as SMT and electronic assembly. To head up this initiative, Ranjan Chatterjee has joined the company in the role of Vice President, Emerging Business and Technology Office. He will focus on extending and introducing Cimetrix’ portfolio of products into Industry 4.0 and Industrial Internet of Things (IIoT) initiatives by interfacing manufacturing equipment with big data and analytics tools. The data generated by devices connected via Cimetrix products can also be enlisted to bolster another methodology often used with lean manufacturing—Six Sigma. With the improvements in cloud and big data tools and infrastructure, one can use these methodologies on data with much bigger volume, velocity, and variety. This enables process control and a lack of variation of products. Processes can be monitored and corrected in real-time instead of inspecting machines merely at completion, and eventually this will help improve yields and reduce scrap. Specifically, manufacturers will need to establish a robust data infrastructure that works across the broader array of machines on the shop floor while breaking down protocol barriers so the machines can communicate effectively and in real time. Manufacturers will also need to establish a bidirectional data flow so they are not only collecting information from equipment, but also pushing control back to the machines to optimize their usage. Manufacturers that can capture the right information, sift through it, and use it at the right time will be the ones that succeed. Cimetrix intends to be a leader in enabling this vision. Ranjan’s decades of experience at Motorola and in the industry as a whole in software development, big data, cloud, process control, and lean manufacturing will enable Cimetrix to both adapt and develop products and partnerships to enable a robust ecosystem for a compelling solution. Ranjan’s relationship with Cimetrix is not a new one as he is a former client. 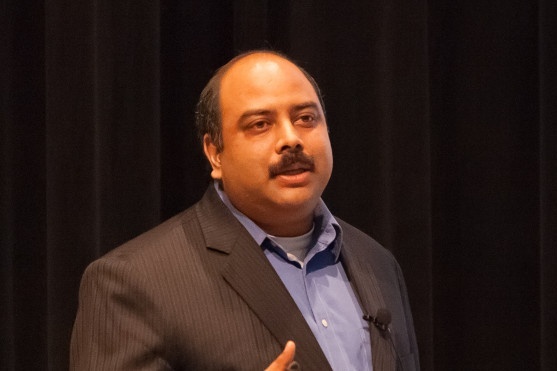 While at Motorola, Ranjan oversaw the development and deployment of a standards-based factory control system for SMT and assembly, which encompassed 24 factories around the world, and connected to over 20,000 pieces of equipment using the first generation of Cimetrix connectivity software. At that time, it was the leader in cell phone manufacturing and the largest purchaser of SMT equipment in the world. More recently, Ranjan has worked with companies developing and deploying systems using cloud technologies, big data analytics, and various modern technologies with a global software development team. Ranjan is extremely excited to join the Cimetrix team as he sees many opportunities to leverage the latest cloud and big data analytics with Cimetrix core expertise and product portfolio into new markets for Cimetrix. He sees great potential for expanding Cimetrix in this new direction and we here at Cimetrix are looking forward to Ranjan leading the way. I believe that 2015 will be viewed as a significant turning point in the history of Cimetrix. When I accepted the role and responsibility of president and CEO of Cimetrix in 2001, Cimetrix was a publicly traded company. In addition to the normal challenges of running a business, Cimetrix was required to comply with all SEC reporting obligations. When the Sarbanes-Oxley Act (SOX) imposed additional financial reporting obligations with increased internal controls, Cimetrix was required to spend even more time and money. I’ve always believed if you are going to do something, you should do it to the best of your abilities. Consequently, Cimetrix dutifully fulfilled its quarterly SEC reporting and SOX compliance obligations. Every year independent SOX auditors performed the required annual audit and their reports always concluded that there were no material weaknesses in our financial reporting or internal controls. For a small company like Cimetrix, we can be proud of these accomplishments. We are very thankful to have had Jodi Juretich as CFO for these past eight years. Jodi managed the company’s financials and was responsible for preparing all of our SEC filings. For those of you not aware, the SOX laws include significant personal liability for the CEO and CFO in the event of any material errors or misstatements. As a result, while we had no idea how many people might read our SEC filings (other than the fact that we know our competitors all meticulously read each and every one), each filing had to be reviewed not only internally, but also by SOX compliance consultants, auditors, lawyers, and the board of directors. Significant management time and precious time with our board of directors was spent reviewing and approving SEC filings. As I hope everyone can appreciate, this represented a huge burden for a small company like Cimetrix. In addition to the hard costs that we estimated at approximately $250,000 per year, it is difficult to overstate the amount of energy in terms of management time and attention that went into reviewing and approving not only the financial statements, but the mandatory narratives for these quarterly SEC filings. Since the introduction of SOX, many public companies have made the decision to go private, and we received a lot of advice over the years that Cimetrix would likewise be much better off as a private company. As you can imagine, however, there are many factors that go into such a decision. We always considered what is best for our shareholders, clients, and employees. Accordingly we were careful and patient in waiting for the right opportunity. From our perspective, that opportunity arose last year, which allowed us to go private without the need for external capital or any dilution to our shareholders. We believe it was an excellent use of the company’s cash to remove the ongoing “tax” of being a public company, which we accomplished in late 2014. As I reflect back on our first year as a private company, there were a number of highlights in 2015. The change in management focus has been remarkable. From the board-level to the daily and weekly operational meetings, the focus is now centered on clients, products, and strategy. How can we better serve our clients? How can we operate more effectively and efficiently? Maybe the timing was coincidental, but Cimetrix also completed a major corporate organizational restructuring in early 2015. We involved ten of our key employees in an off-site workshop to map out the type of company we wanted to be going forward. Using an experienced coach and facilitator, we spent time reviewing and reaching agreement on “core” items including our shared vision and values, identification of our core customers, what is our promise to our clients, what is our long term “big hairy audacious goal,” and, equally important, what are the things we should stop doing. We identified the key functions of the company and the people with the best skills and experience to lead those functional areas. The result was a much flatter organization with opportunities for some of our most experienced engineers to assume more management responsibility. It was a very energizing and invigorating process that aligned the entire company on the path forward. We also made the commitment to go through our product lines and address all outstanding issues. Over time, the number of product issues that were not urgent or high priority had been slowly building. We made the decision that in order to position the company for faster long-term growth, as well as to reflect our values and brand promise to our clients, we should refresh our current product lines and drive the number of outstanding issues down to zero. This strategy will greatly reduce the long-term costs of maintaining our product lines going forward, as well as further improve the quality and performance of our industry leading product lines. It was wonderful to see the cooperation of our different departments work through the full database of all reported issues and reach resolution. During 2015 we completed new Service Releases for our GEM and GEM300 product lines, which included SECSConnect, CIMConnect, and CIM300, that resolved all reported issues and significantly increased the test coverage for each product. 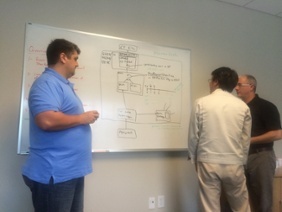 Our Product Management group coordinated the effort to resolve all issues with appropriate stakeholders. Once the backlog of work was clearly identified, our Software Engineering group accepted the challenge and took great pride in doing the work they had wanted to do, but never had had the time, to improve our products and significantly increase the level of automated tests. As part of the strategy to improve our customers’ experience using Cimetrix products, we expanded our customer support group into a “Client Training & Support” group with an enhanced staff of senior engineers. Their responsibility is to demonstrate Cimetrix products during the sales cycle, train new clients, and serve as proactive technical liaisons as our clients progress through the critical development cycle. Initial feedback from clients has been outstanding. In particular, I had one new client tell me that in his experience, it is natural for the level of support to fall off a bit after they place an order for a product. However, in the case of Cimetrix, we provided a very high level of attention and support during the sales cycle, and once they placed the PO, they were pleasantly surprised to see that the level of attention and support from Cimetrix actually increased. While they have had problems with other suppliers “over-promising and under-delivering,” their experience with Cimetrix has been overwhelmingly positive, as our software does what we say it will do, and we provide very responsive and passionate support with senior engineering staff. We have been at the forefront of the new industry standards for “Interface A,” or its alias “Equipment Data Acquisition (EDA),” for over ten years. When these standards were initially conceived and driven by representatives from Intel and AMD, we thought these new standards made logical sense and would ultimately be adopted by the industry, but we had no idea how long it might take for these standards to be adopted. A large semiconductor foundry in the industry has become the leading user of EDA. Our strategy has been to work closely with this company and the large number of equipment makers that selected Cimetrix’ CIMPortal Plus product to meet the company’s requirements for EDA. While Cimetrix did this facilitation work on our own dime, we believe this investment has paid off handsomely as we’ve helped many of our clients achieve good success in this company's factories, and, as a result, we now have very appreciative clients all over the world that serve as solid references for Cimetrix and our EDA products. In parallel, our Sales and Account Management team has been evangelizing the benefits of EDA to other semiconductor manufacturers. The list of companies now implementing some aspect of EDA has grown to include industry leaders such as Globalfoundaries, Infineon, Inotera, Samsung, Toshiba, and TSMC. The biggest news was Samsung announcing plans for an EDA pilot project in 2016. In a recent briefing to local Korea-based equipment makers, it was reported that some large equipment makers such as Applied Materials and Tokyo Electron developed their EDA solutions in-house, but “most of the rest use Cimetrix products.” To respond to these opportunities, the Cimetrix Sales and Account Management group worked quickly to establish relationships, distribution channels, and local sales and support for Cimetrix products in Taiwan and Korea. While Cimetrix has great partners in Japan, we have learned that each country is different and customers prefer to receive support from companies within their own country, in their native language. Dave Faulkner and Alan Weber logged many miles this year explaining the best practices for EDA and establishing these very important relationships for Cimetrix, which we believe position Cimetrix to sell and support our products more effectively within these markets. 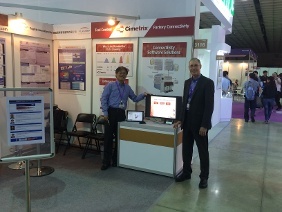 In 2016 Cimetrix is scheduled to exhibit in industry trade shows in Korea, China, Taiwan, and Japan that we believe will lead to new clients in these growing markets. Lastly, even though we are no longer required to publish SEC filings, we maintain the same high level of internal controls and fiscal discipline. The only difference is we don’t go through the seemingly endless quarterly reviews and narratives. The semiconductor capital equipment market is widely reported to have declined during 2015 and is expected to be flat for 2016. Cimetrix has noticed similar trends among our client base. During 2014, Cimetrix was profitable every quarter with total revenue in the $6 to 7M range with over $500,000 of adjusted EBITDA. For 2015, we continue to operate profitably on a quarterly basis and expect to have similar full-year financial results as 2014. We expect to end the year with close to $2M of cash and, of course, no debt. Going forward, industry analysts predict a decrease in semiconductor capital equipment spending for 2016. Cimetrix has a number of irons in the fire that we hope will counteract the overall industry trends and enable us to grow next year. We have some major clients in adjacent markets that have the potential to contribute increased revenue. We also hope to get some traction from our efforts to add new clients and grow revenue in the Taiwanese, Korean, and Chinese markets. However, as we have learned over the years, it takes time to develop such new markets, so we are not planning to see large increases in revenue in the immediate future. By working closely with our clients in semiconductor and adjacent markets, we have identified a number of opportunities for new products. We plan to continue to invest in our current product lines for GEM, EDA, and Equipment Control, as well as look for opportunities to develop new products in conjunction with industry leaders. If I sound excited about the future for Cimetrix, it is because I am. We have a great team here at Cimetrix and we added a number of solid new team members during 2015. While we have made great progress, we are never satisfied, and will strive for continual improvement as we pursue closer relationships with our clients, improvements in our efficiency and effectiveness, and above all, building great products that help our clients be successful and perform well for those they care about. I always enjoy meeting with customers. I may be a little “old school,” but the personal touch of sitting across the table from someone, having a cup of coffee and learning firsthand what they think of our products, our people and our services is always educational, and even more so when the news is not good, as that gives us the opportunity to learn and improve going forward. Of course, the non-verbal communication is often times more important than the words, and you just can’t get that over the phone. Due to the downturn in economic conditions during late 2008 and early 2009, we limited all company paid travel. As president, I also set the example to use the telephone and web conferences for most customer interactions. As business conditions began to improve in late summer of 2009, we began to relax our travel constraints. This led me to take a business trip to Europe to meet with some of our semiconductor customers as well as a few of our new PV customers. Being on the road visiting customers usually involves a very full schedule, and Cimetrix business trips are even more so. This business trip started off meeting with customers in The Netherlands and then we drove across Germany meeting with customers in a number of cities as we made our way to our final destination in the Munich area. As we drove across Germany and stopped in a number of cities and small towns, I was surprised to see quite a few modern, high tech windmills, but I was shocked at the solar panels. We saw solar panels on the roofs of commercial buildings, residential building, farms and just about any type of structure with a roof. We saw solar panels in cities, towns and the countryside as we drove by on the Autobahn. The German government has been the world leader in promoting renewable energy. The German government implemented a program of “feed in” tariffs that provide subsidies for entities (people, businesses, etc.) to install solar panels. As it was explained to me, it is typical in Germany to purchase electricity at a rate of say $0.08 to $0.10 per kilowatt hour. The government feed-in tariff means that if someone installs solar panels on their roof, the German government will guarantee that it will purchase all of the electricity from your solar panels for the next 20 years at the price of $0.45 per kilowatt hour. (Note that the feed-in tariffs decline every year). Since you have a guaranteed contract to sell this electricity to the government, people are able to go to a bank and borrow the funds to cover the upfront costs of installing the solar panels. Then the profit obtained on a monthly basis is sufficient to pay back the loan and interest charges. After about 10 years, the loan is paid off and then the person with the solar panels can enjoy the operating profits for the remaining years on the original 20 year contract. It was fascinating to see firsthand the results of this program, as well as have discussions with many of the German people. Not only did we discuss with many of the engineers that are our customers, but we had discussions with the average citizens in various restaurants and hotels. Everyone knew the term “PV” and there was certainly an air of excitement about leading the world in renewable energy. You might ask, “How does this affect Cimetrix?” Well the theory is that government feed-in tariffs will stimulate demand, which in turn will stimulate production of more solar panels, which will then lead to improved efficiencies in both the technology used in solar panels as well as the economies of scale, which will ultimately lead to better price/performance solar panels that are cost effective on their own merits without government subsidies. Since solar panels are based on silicon or thin film substrates and have a similar manufacturing process to computer chips, there is a need to continually improve the manufacturing process to make better solar cells and lower the manufacturing costs. That is where factory connectivity and advanced software systems similar to those used in semiconductor manufacturing come into play. Many of the German PV manufacturers have adopted the “PV2” software for connecting manufacturing equipment with factory software. Cimetrix has enhanced its product offerings to meet these needs and hopes the industry is successful in promoting widespread usage of these PV software standards. If this happens, this should significantly increase the available market for Cimetrix products and services.